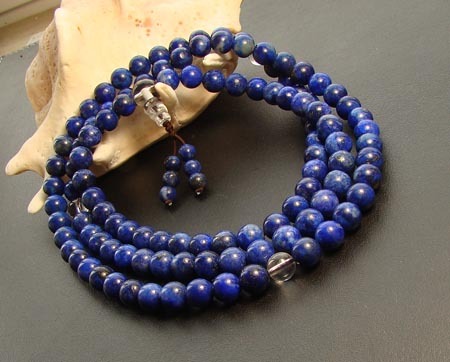 Handmade Buddhist Prayer Beads 8MM Lapis Lazuli Tibetan 108 Beads Mala. 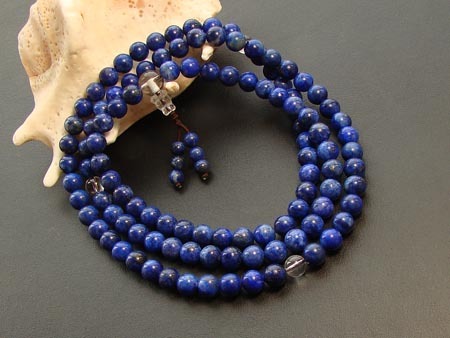 This buddhist prayer beads was handmade in Tibet from lapis lazuli and crystal. 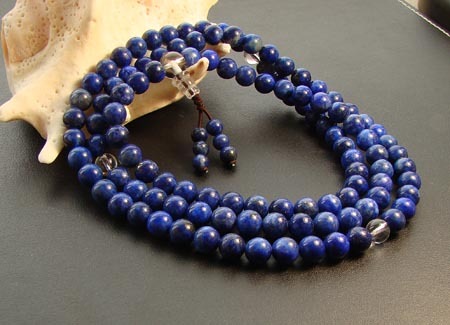 Beads size: 8mm. 108 beads and one guru bead. Blessed.